This Orange and Blue desk and seat set is a perfect addition to the home for any child. 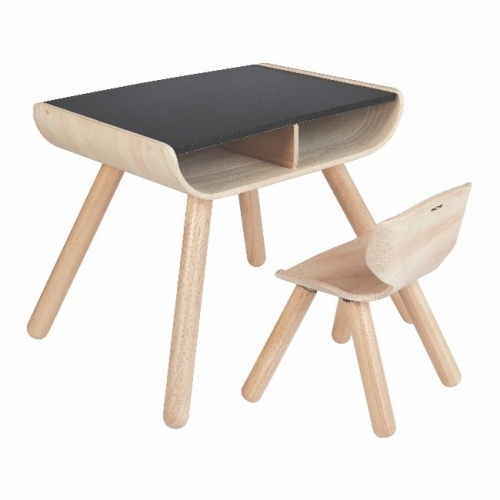 Brightly coloured and sturdy, children will love having their own personal work space. The desk features 2 cup holders for supplies, a front opening to store artwork and the tabletop chalkboard tilts up to be used as an easel. There is also a replaceable paper roll. The desk and seat set includes - a 6 metre roll of paper, 2 plastic cups, 2 chalk sticks and an eraser.